48" Medallion Serie dual fuel range with 4 sealed burners and a 22" griddle. It also offers a large electric 4.7 cu. ft. and 2.7 cu.ft. capacity self-cleaning Innovection Double-Oven with infrared broilers. The American Range Innovection convection oven technology features dual convection motors and louvered side panels to enhance uniform heat distribution throughout the large oven cavity. Electrical Information 240 VAC, 60 Hz. 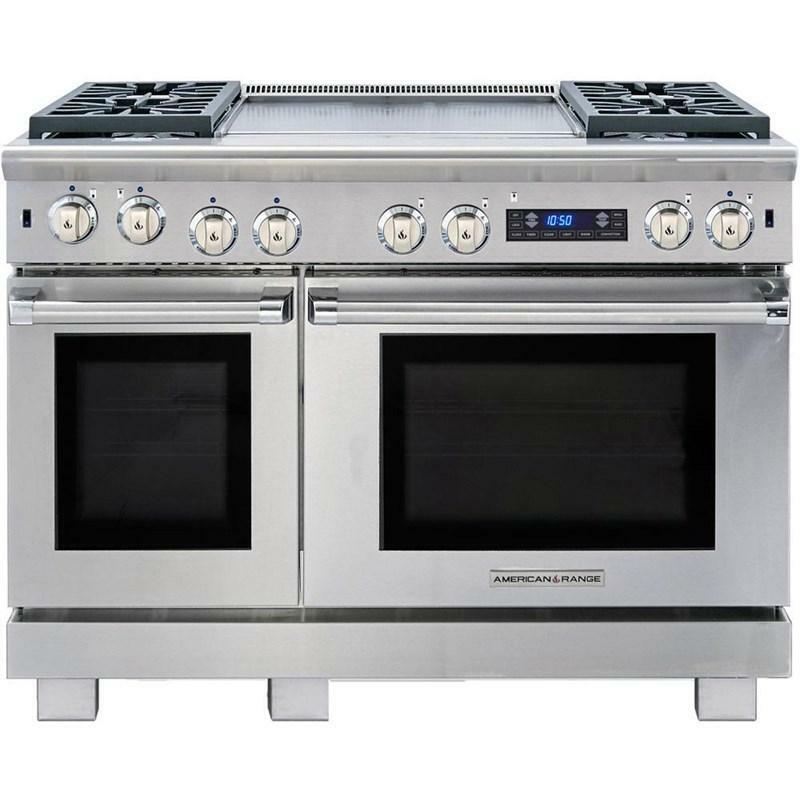 Additional Information 18" and 30" oven size; Sealed burners simmer at 140°F, all with infinite setting controls; Flame-sensing re-ignition in the event the flame goes out; Programable timed self clean; Blue LED indicator lights for each burner; Front panel switch controls oven lighting; Multiple functions include: Full Power modes for Standard Bake, Convection Bake, Infrared Broil, or Warm modes for Dehydrate, Crisping and Proofing; Straight Convection with Single High-Speed Convection Fan; Instagrill Broiler: 3500 Watts; Gas Supply: 11" W.C. Liquid Propane. Burners/Elements Output (2) 17,000 BTU; (1) 13,000 BTU; (1) 9,000 BTU. Griddle: 40,000 BTU. Warranty 1 Year parts and labor. Proven Products Co. serving the Houston area since the early 1940's. Also serving Pearland, Friendswood, Alvin, Pasadena, Dickinson, Angelton, Galveston, League City, Webster, Deer Park, La Porte, Santa Fe, Texas City, Manvel, Angleton, Baytown, Sugar Land, Bellaire, Missouri City, Seabrook, Kemah, Hitchcock, Mont Belvieu, Nassau Bay, San Leon, Bacliff, La Marque, Beech City, Channelview, Katy, Cypress, Woodlands, Kingwood Spring, and more. From rent house grade appliances to Viking and Monogram and everything in between. Supplying new construction, remodelers, contractors, designers, and architects and everyday replacement needs. 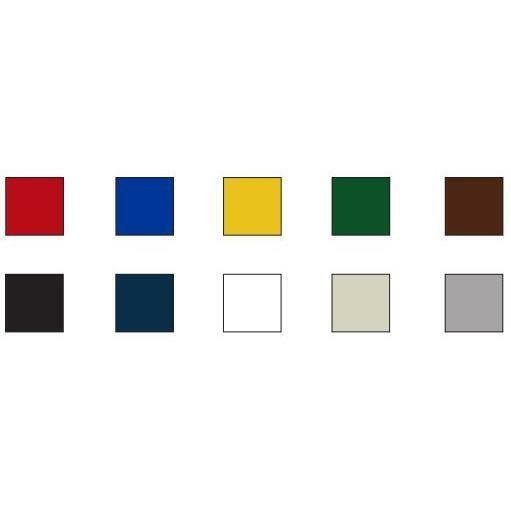 At Proven Products we are very selective in the brands we represent, only selling the highest quality, most durable and reliable brands concentrating on American made appliances. Unusual sizes including a.d.a disability approved appliances, ice machines, outdoor kitchens, and every style of built-in and freestanding appliances are what we do every day. Speed Queen laundry, the most durable and reliable home laundry in the world is available exclusively at Proven Products. Call or come by to discuss your appliance needs soon. If it can be done, the experts at Proven Products can achieve it for you. © 2019 Proven Products Appliances All Right Reserved.